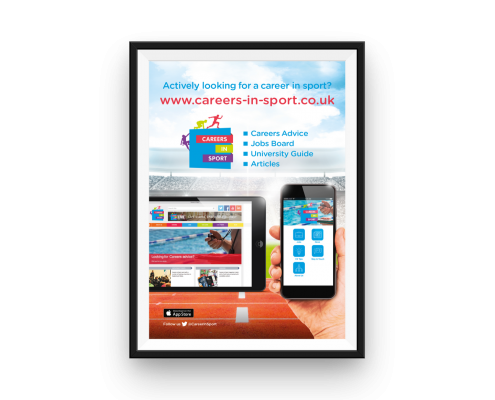 Careers in Sport receive numerous requests from schools and colleges to deliver workshops and presentations. 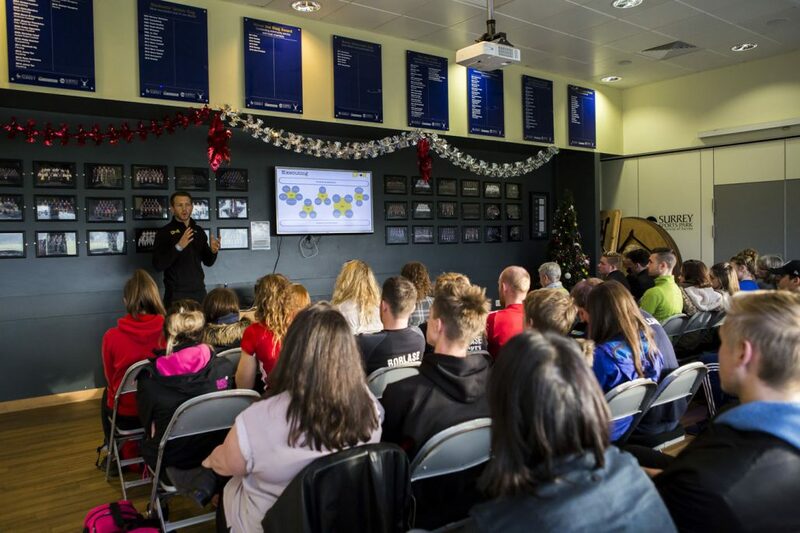 We offer a range of presentations and, for example, we have delivered talks to year 8 pupils on the benefits of an active lifestyle, as well as presenting to GCSE, BTEC and A Level sports students on the diverse opportunities in the sport and fitness sectors. We have also talked about employability with sixth form students. We offer a bespoke service to meet the school/college objectives, so please contact us to discuss how we can work with you. This presentation addresses the soft skills employers are looking for. We ask students to consider their strengths and how they can demonstrate these skills on their CV and job applications. We offer practical activities and case studies that get students to think outside the box. With almost everyone having a social media account, we also discuss the positive ways students can use their accounts to help their career whilst also highlighting some of the pitfulls of social media platforms. Leaving school/college and deciding what next can be a daunting experience for some students. We assess the various options available to them once they leave school/ or college. We also assess the work options once leaving school, apprenticeships and university degree options. 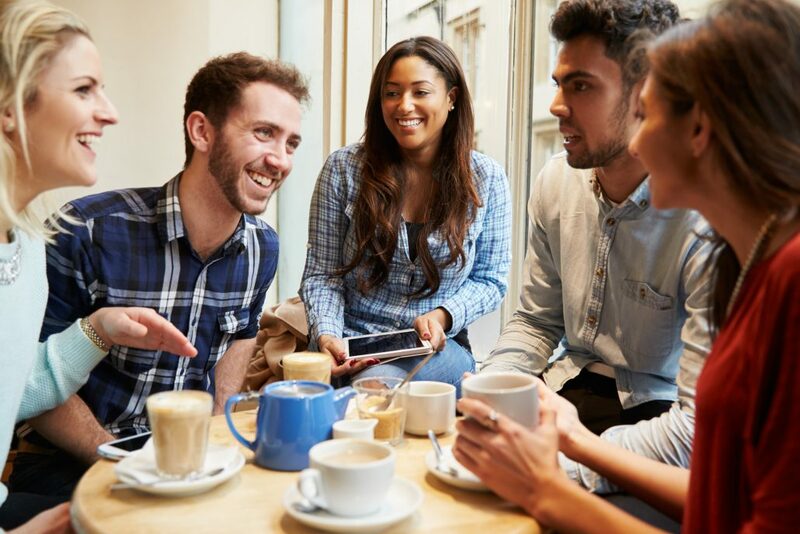 Whilst many students will be keen to go to university, there are many factors they should consider when making their choices. Location might be important (far enough away from parents or close enough to parents perhaps! ), but gaining an essential qualification that provides a route to their prefered career is hopefully one of the main reasons they have chosen to commit to further education. We review the questions students should be asking universities before choosing to sign up to£9,000 a year to study. 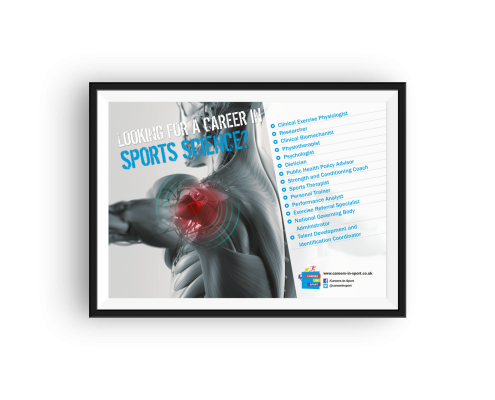 What are the diverse careers available in the sport and fitness industry? What experience and qualifications are required for each profession? How can I establish a successful career in my preferred profession? 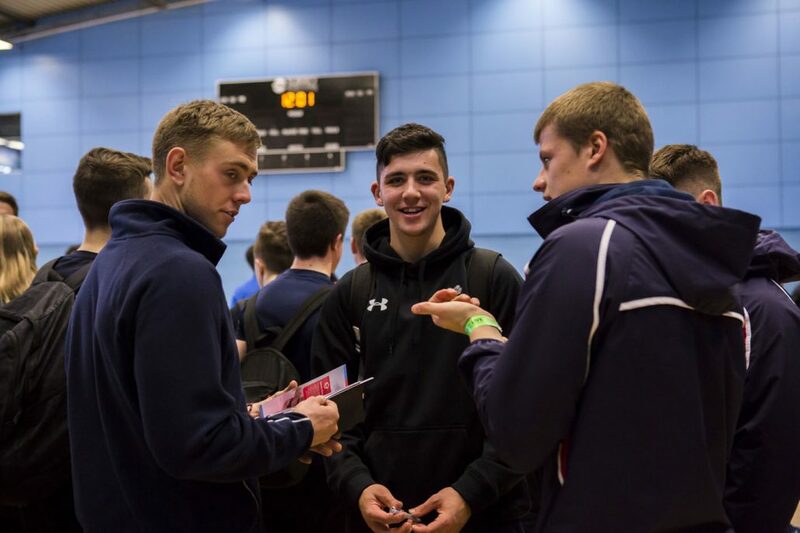 A review of the professions available within coaching/teaching, sports science, sports business, sports media and health and fitness are all reviewed, as well as apprenticeships, and we ask students to consider the essential and desirable attributes required for each sector. Our range of half and full day ‘hands-on’ workshops ask students to work in small teams and create an environment to develop their communication, decision making and leadership skills. Workshops create mock situations for students to experience a range of different roles in the sports industry and culminate in a presentation to showcase their product and/or service. 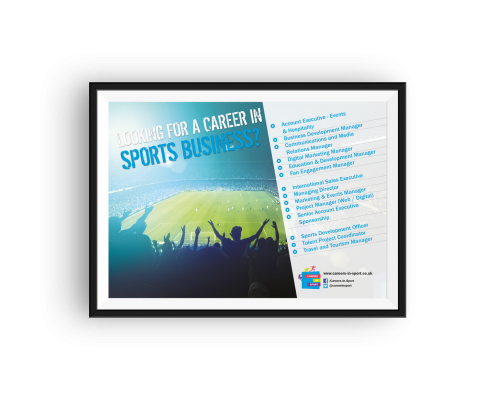 Would you like a poster promoting Careers in Sport for your school, college, university careers library? These posters are available in A1, A2, A3 & A4. 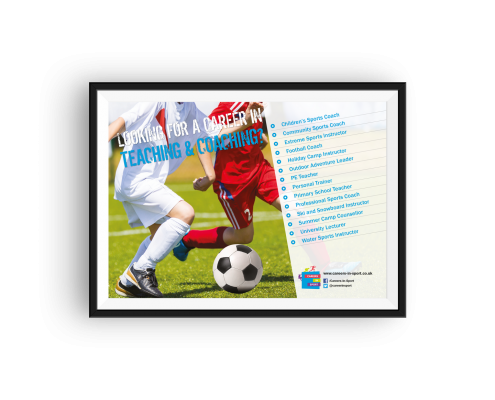 To view and download the print ready posters click on the links below. 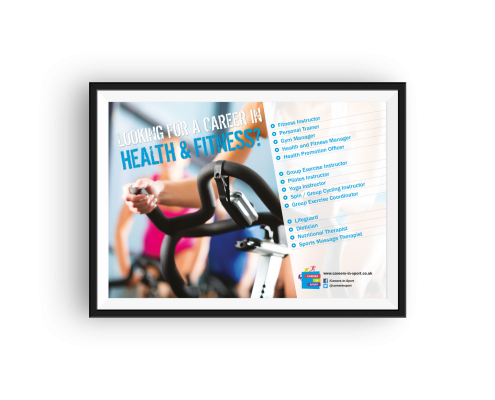 We have 4 posters available for you to download promoting professions in Health and Fitness, Sports Science, Teaching and Coaching and Sports Business.